Burd Ward Solicitors are happy to announce that Laura Prysor-Jones has been appointed a Director of the firm from January 2018. She will be joining the existing management team of John Burd, Michael Ward and Victoria Syvret as the firm looks forward to the new year and beyond. 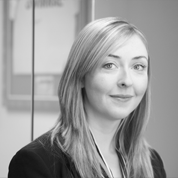 Laura joined Burd Ward in January 2010 as a member of the family law department and deals with a range of family work including children’s matters, divorce and domestic violence and also wills.